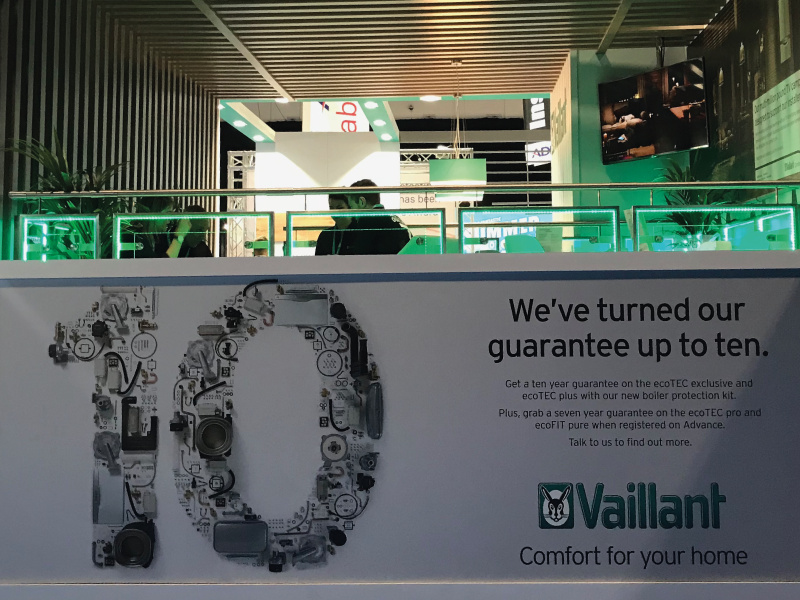 Vaillant UK are part of the world-wide heating and hot water corporation Vaillant Group, which operates in over 20 countries around the world. 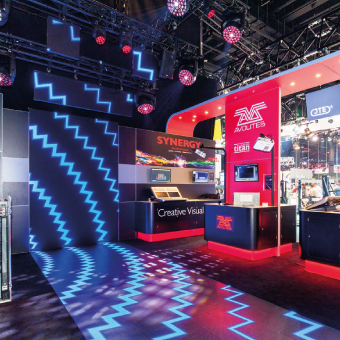 With just three weeks before their showcase event, a larger stand space required some creative thinking to adapt and develop existing plans and get everything installed in limited time. 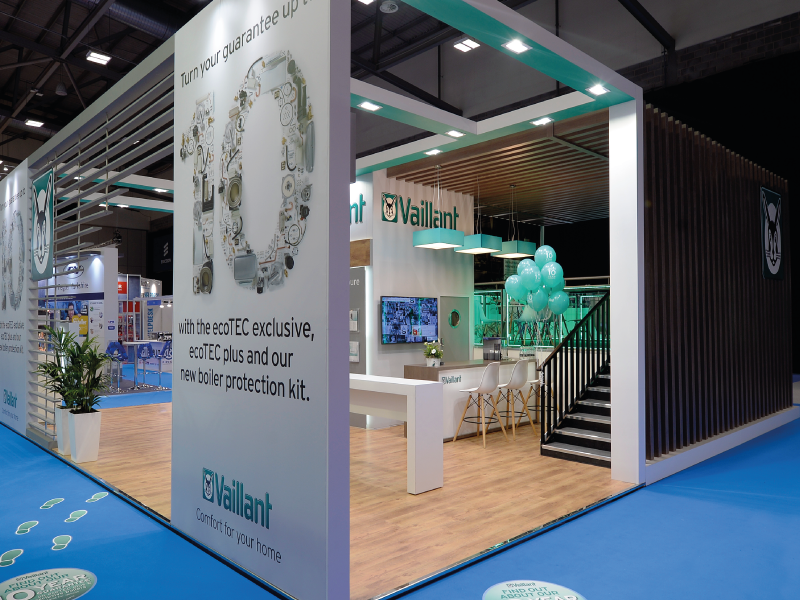 We made the most of the larger stand space to create a raised lounge for visitors, adding wooden beams for a decorative and eye-catching effect. 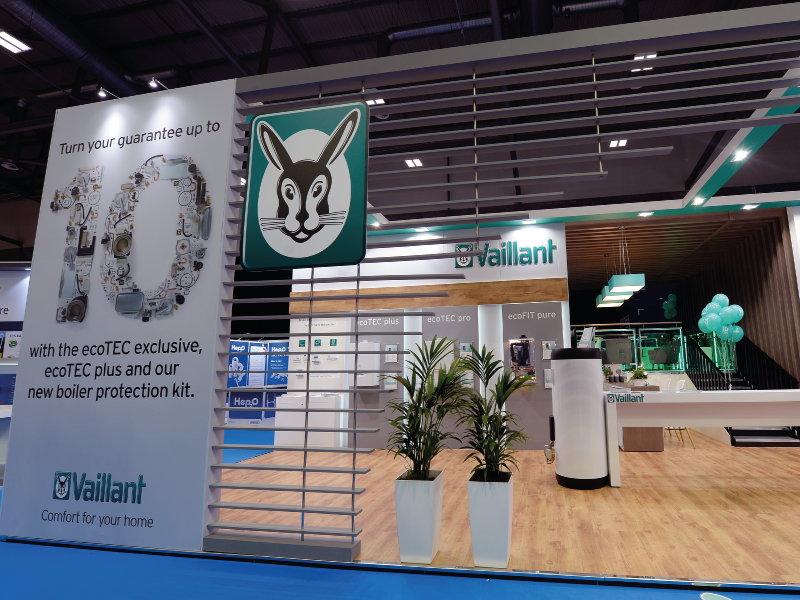 We had to apply some creative thinking to meet the brief and get everything ready in time for the show, including getting the new designs signed off by the local council, venue and structural engineers. 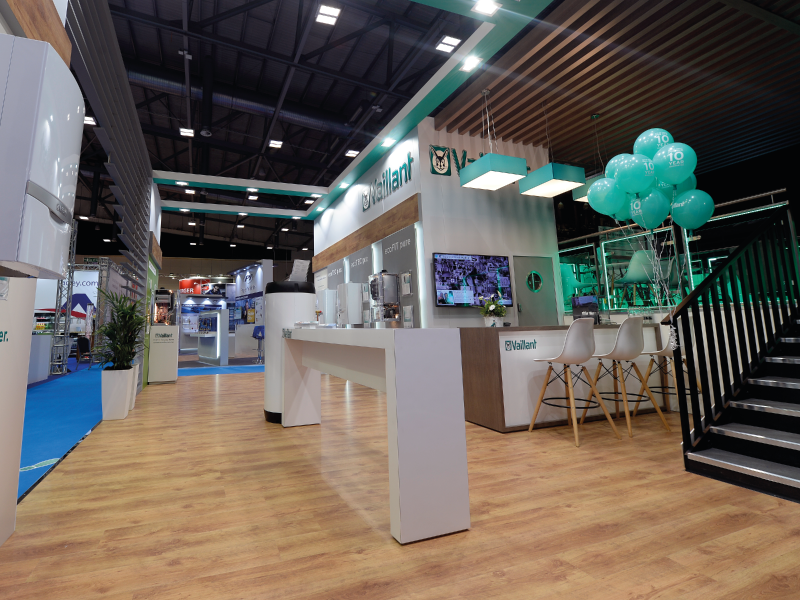 It’s all part of the service with Imagine Events. 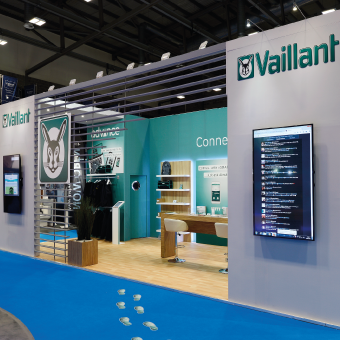 We not only worked closely with Vaillant to ensure their exhibition space had real impact, but also collaborated with their marketing agency Saatchi & Saatchi to ensure that brand and design were spot on. 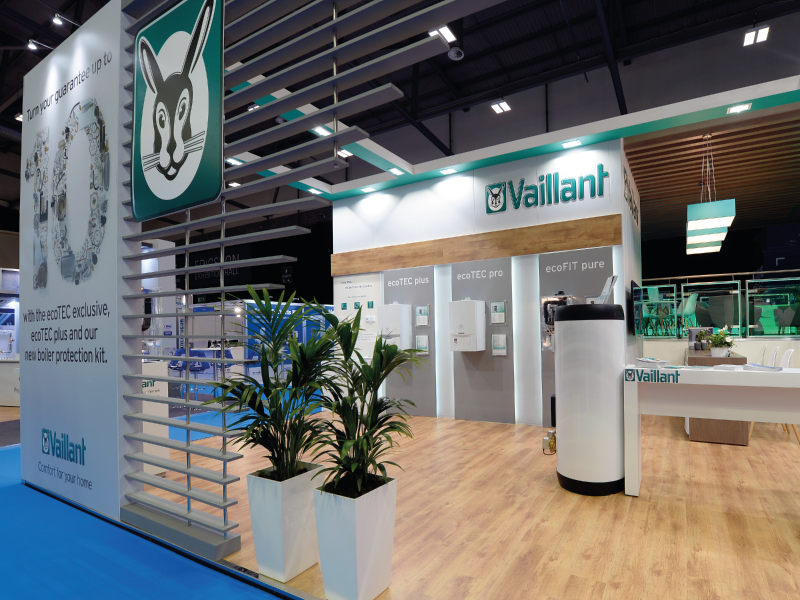 All three exhibition areas at the show were busy throughout and complimented by senior company members.